With gas solid tops cracking up, open gas burners failing and uncontrollable gas ovens, Group Executive Chef, Matt Davis of the Lewis Partnership's flagship hotel, The Moat House at Acton Trussell, needed help renovating his outdated traditional gas range. As owner, Chris Lewis, had recently installed energy monitoring equipment throughout the hotel, it was abundantly clear that the kitchen was haemorrhaging energy. With a ventilation system that was struggling to keep up with the production of waste heat from the range and the continuing repair bills just to keep the old gas range going, it was time for a change. Having looked at many different solutions, Davis discovered Target Catering Equipment and working together, a plan was devised to convert the gas range to electric induction. By installing Target commercial induction hobs, a commercial plancha griddle, pasta boiler and electric convection ovens the gas range would be converted into a commercial induction suite which in turn would transform the kitchen. On initial investigation it became clear that the chassis of the original range was in good condition although the gas components were not up to the job. With this in mind Target designed a range of drop in electric units and started the job of removing the original built in gas units. And so the transformation began! 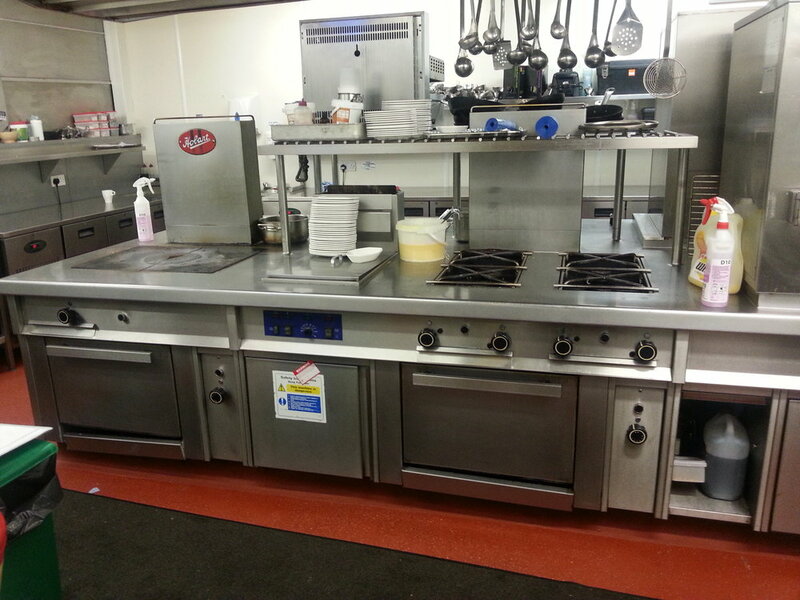 Induction hobs replaced the gas burners and the gas ovens were converted to electric convection ovens. The gas fryer was removed and a pasta boiler installed. An overhead high efficiency salamander fast action rise and fall grill was also added. 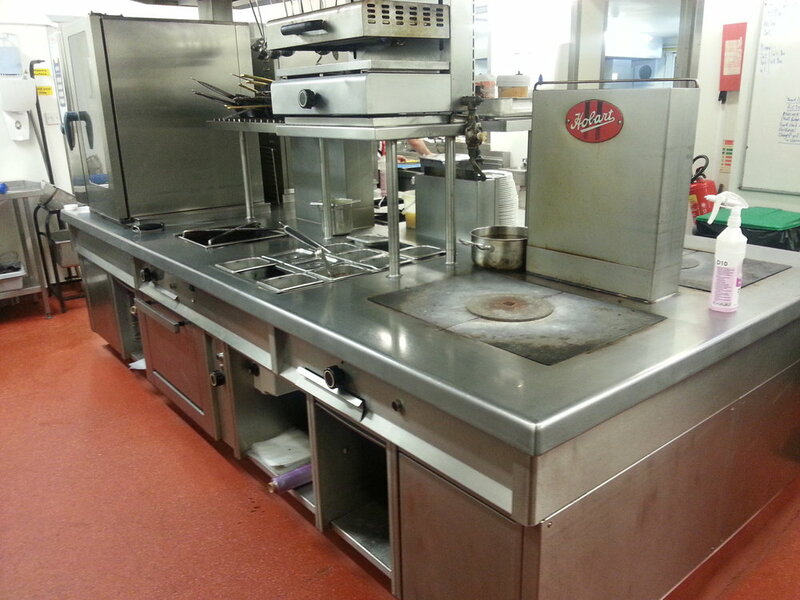 As all work had to be completed without shutting the kitchen at this busy hotel, the Target engineers worked through the night in order to complete the task of converting the range from gas to an all electric induction range. Without losing a single day's revenue from kitchen closure, the transformation from gas to electric induction was completed. Group Executive Chef Matt was delighted with the renovation and his kitchen brigade are now using the very latest induction cooking technology which has transformed the kitchen. Owner, Chris Lewis, continues to monitor the energy bills and is currently looking forward to a busy and energy efficient hotel whilst his catering staff are looking forward to cooking on induction in a cooler, quicker and more productive kitchen.